NOTHING SCILLY ABOUT THIS WALK! This walk in Kinsale is the best! Starts opposite The Spaniard (signposted Scilly walk) and finishes up at The Bullman. Just sayin… All buggy friendly, last bit is on road but you can turn back before that. 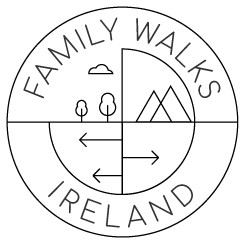 Check out their photos below…You can find out more about all of their adventures @corkfamilywalks on Facebook. It’s great to hear from other parents/explorers. Don’t forget to share any walks you know of in your local area.